Your daughter will be pretty in pink in these leather, double ankle strap baby shoes. Shoe like sizing allows for snugger fit than soft soles, but still allows room for healthy foot growth. 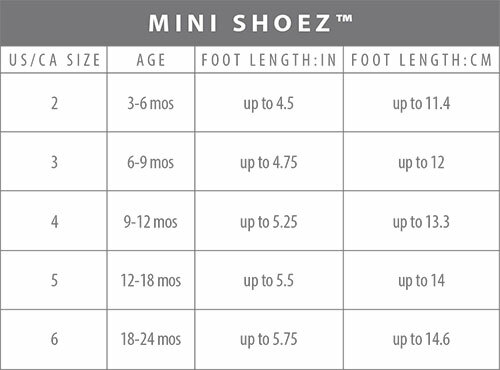 Our Mini Shoez have a stylish and fun appeal as they take their fashion cues from styles that Mom or Dad might wear. They flex and bend with every step while providing extra protection as they promote good balance and unrestricted growth. Soft material. Do not have much of arch support. Very cute shoes. The color is very pretty. Shoes are so cute. But I bought them alittle bit big for my daughter but great material. She will wear them soon. Not only very stylish but super soft and comfortable. She won't take them off! My 1 year old was an early walker. 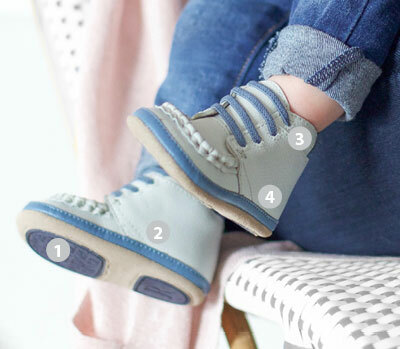 She needed better soled shoes from her first pair of baby Robeez that didn’t have soles. This pair has sturdy soles for her more advanced walking now. The best part of this pair is they are not easy for her to remove. The Velcro straps have to loop into a hook first so she can’t easily remove them at school like most babies do. These are great!